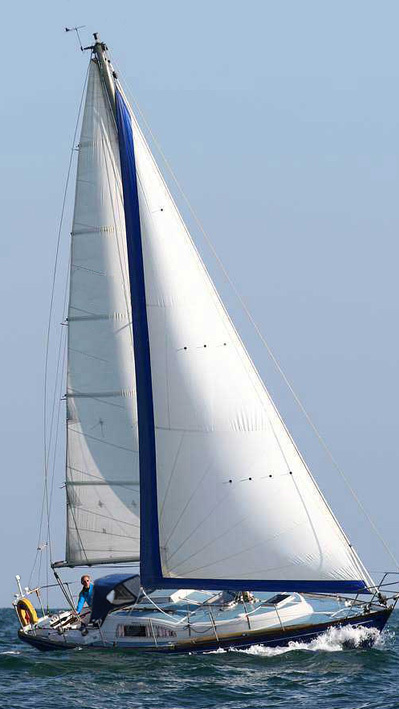 The Arpege was designed by Michel Dufour in 1966. The project has been a great success with about 1500 pieces produced over the years. 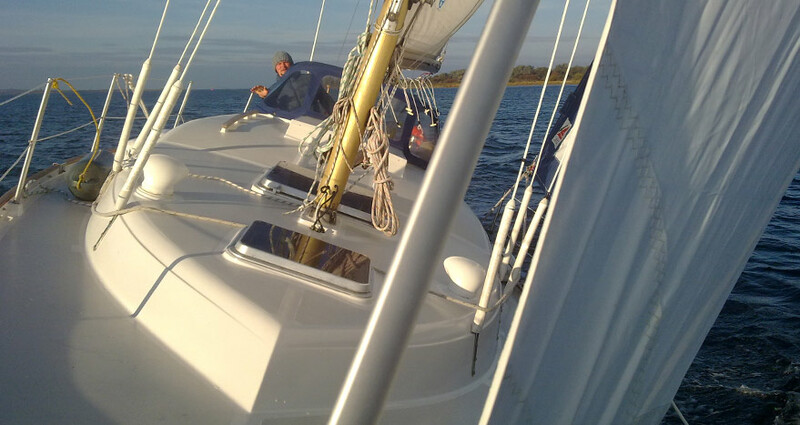 The Dufour Arprege is a fast yacht ready to bravely take on the seas. Many of them have been exported and sailed the Atlantic. 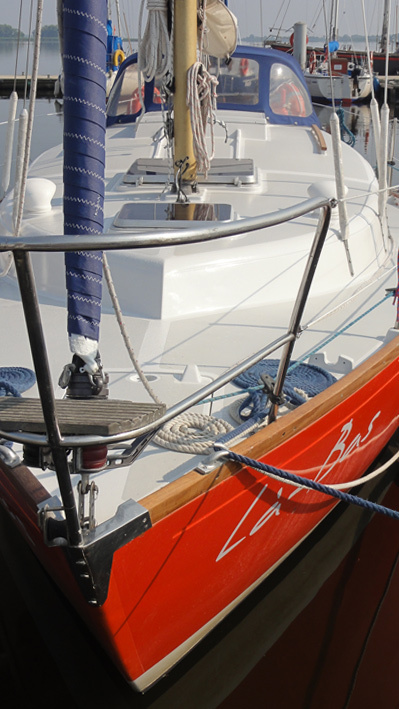 Là-bas is the 1,45m draught shallow fin with an exaggerated bulb at the base, which ensures a safe sail through shallow waters. 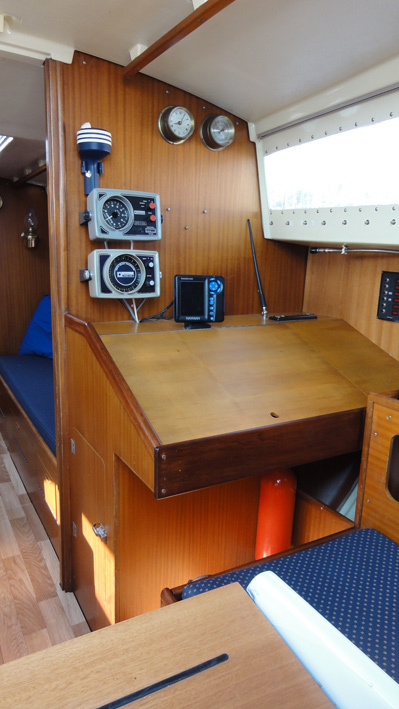 The boat is supported by a DMB 515 Lombardini 13 HP stationary engine with great gas consumption of only 1-2L/hour which allows for easy travel in different weather conditions. 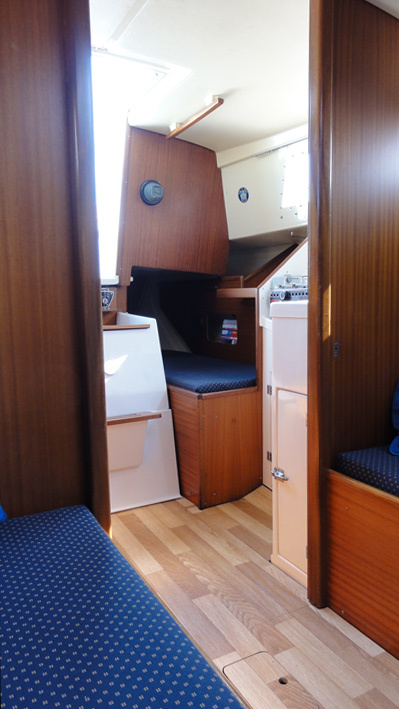 Below, the Arprege offers a spacious, well lit and ventilated inside area. 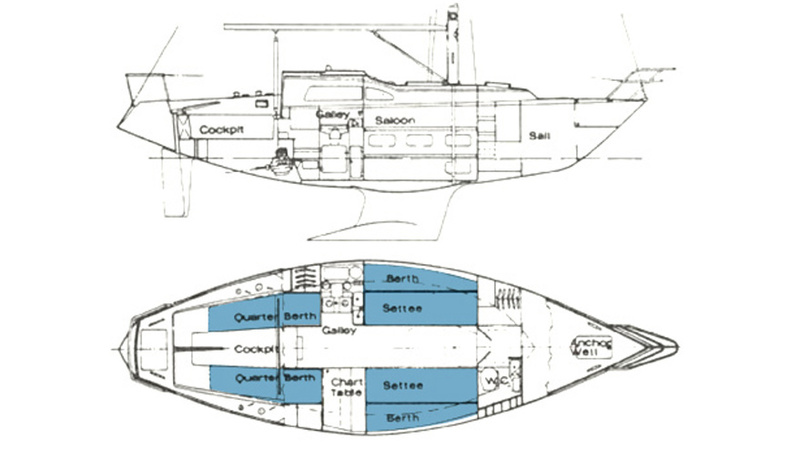 The designers planned 4 berths in the mess and additional 2 quarter berths at the stern behind the cockpit. 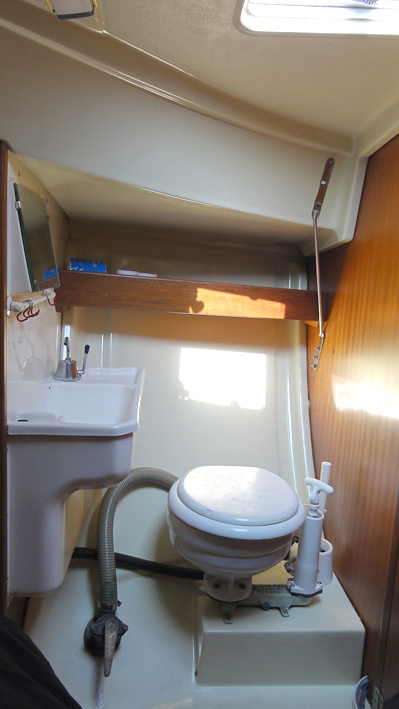 This leaves the bow cabin area free for a toilet and sink, a cabinet and lots of room for sails, life-jackets etc. 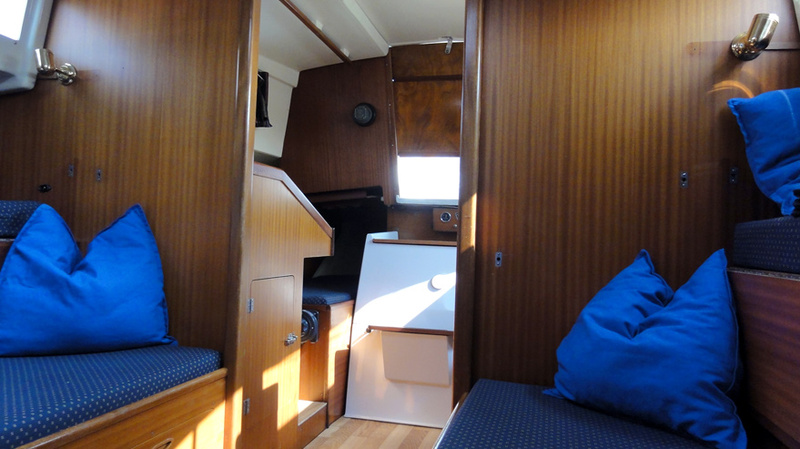 There is also lots of storage space in the mess and galley area. The navigation desktop allows plenty of room and comfort for your work. 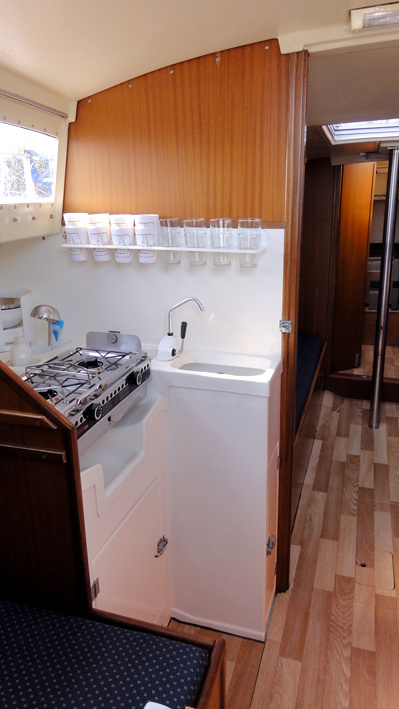 On the other side, the galley is equipped with a double burner stove and a double chamber sink. 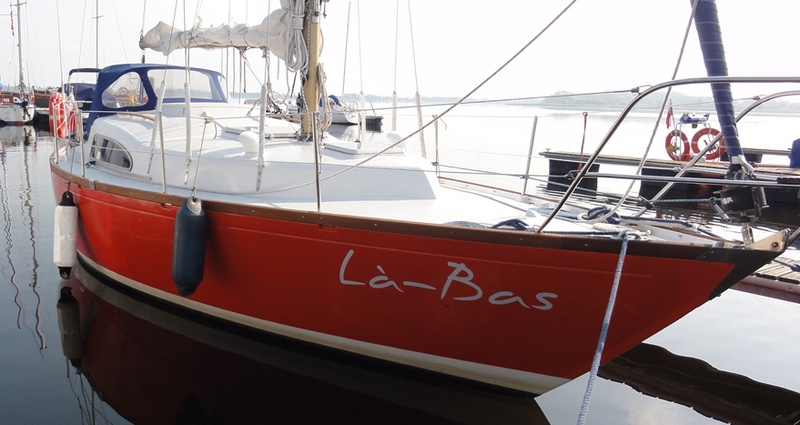 Là-bas draws its electrical power from two batteries. 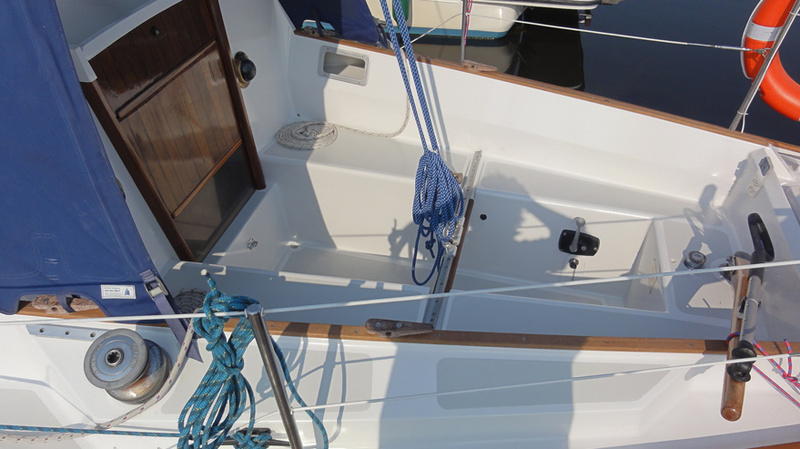 This powers all the inside and outside lights as well as the water pump and engine’s starter. 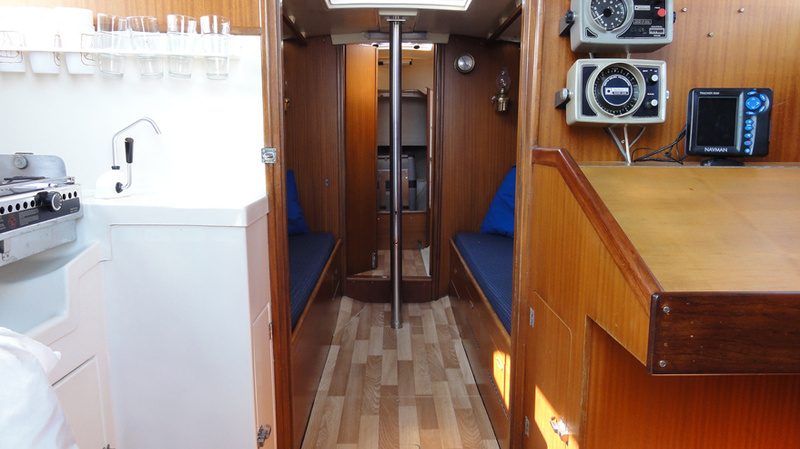 The yacht is equipped with a rollfock system. 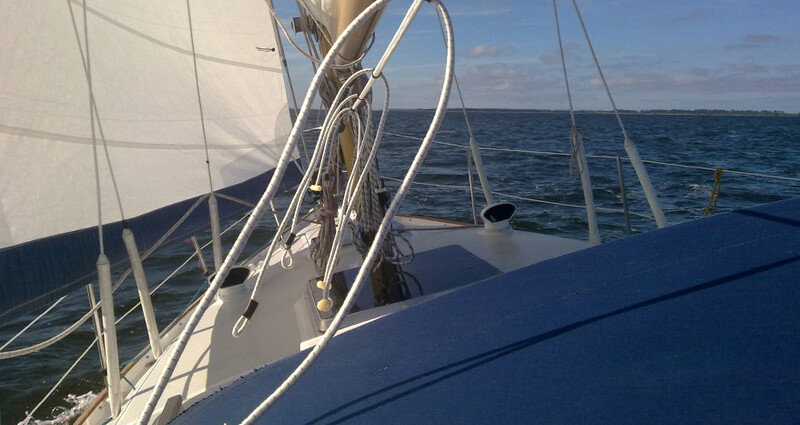 Fit to sail inland and sea waters. 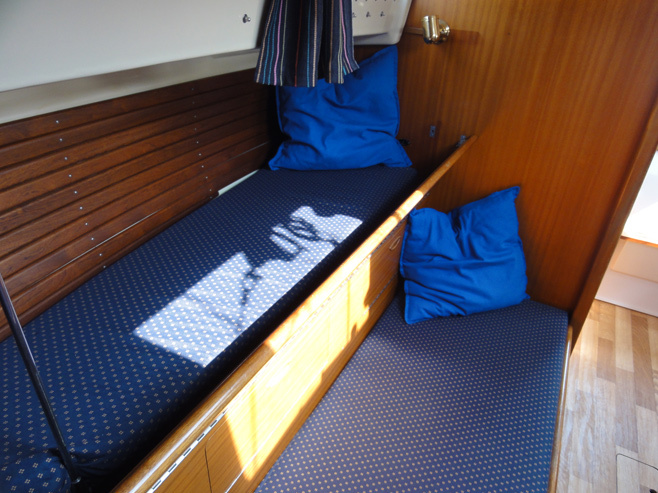 The yacht is currently being renovated, some photos may show its condition before the renovations. 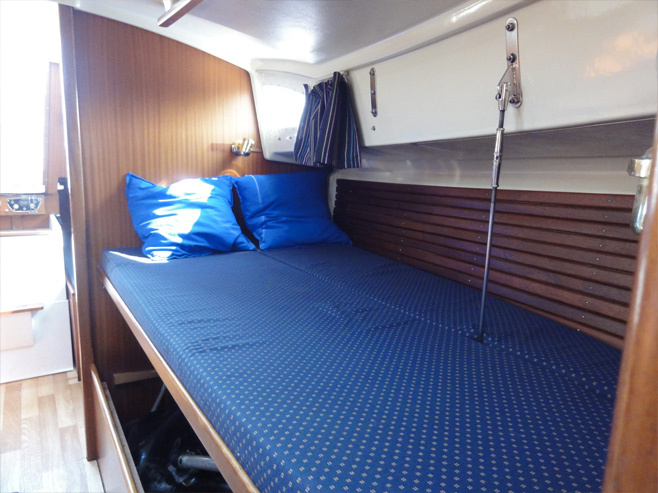 Roll genua, storm jib, mainsail with reefing, bath ladder, tent, sink, fully equipped galley, water pump, refrigerator Waeco 40 ltr, electric 230 V heating, pump water toilet, fuel tank 40 l, water tank 130 l, UKW Navman 7200 with DSC, compass, echo sounder, GPS/Plotter (Navman 5505), Tablet with GPS and maps NV Verlag, two batteries and charger (fully automatic chrger), socket 12V and 220V, CD radio, autopilot, sprayhood, safety equipment, toolbox and maps.